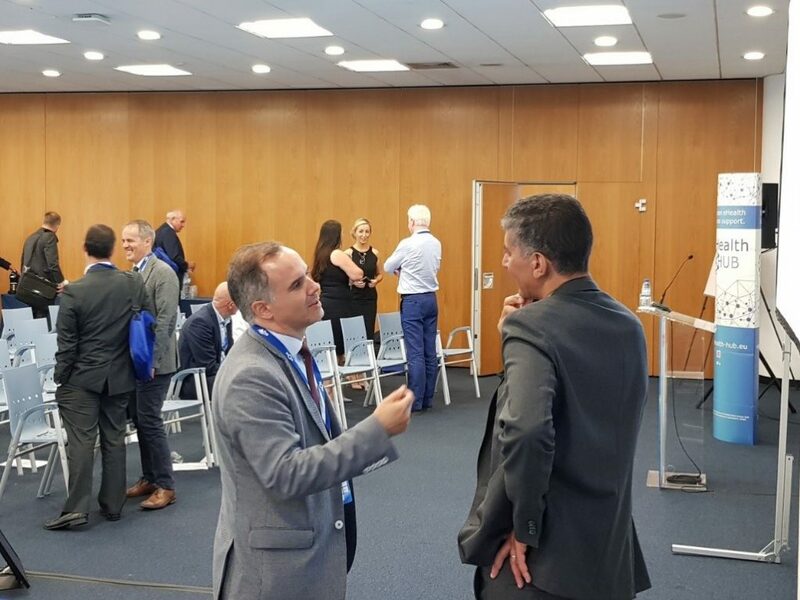 The VII eHealth Roadshow took place on 26 September in the framework of the 27th European Association of Hospital Managers (EAHM) congress in Cascais, Portugal. More than 1000 senior hospital managers, directors, healthcare organisations and researchers have met to discuss this year’s conference topic: “Redefining the Role of Hospitals – Innovating in Population Health”. It was the perfect setting for the VII eHealth Roadshow and the invited eHealth SMEs to present their digital solutions to hospital managers. 10 presenting companies had to prove their innovative potential and, most importantly, the added – value for hospitals to use their technologies compared to traditional methods. Among the committee members had been experts from Ghent University, SPMS – Portuguese Ministry of Health or St. James’s Hospital Dublin. Raisoft presented a software solution for measuring functional performance and health status, as well as quality and effectiveness of care. Targeting professional users in the use of medical technology, LeQuest developed an online training simulating the use of medical devices. With the ClinicalShift software hospitals and clinical staff can communicate in real-time in order to automate the process of deploying resources of clinicians. 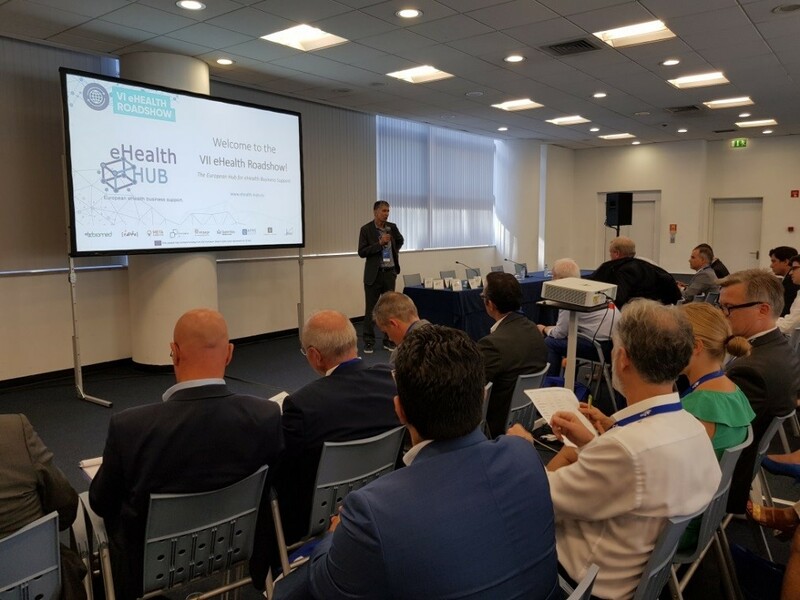 In addition, Aptuso, Awell, Promptly Health, HopeCare, SWORD Health, Oxitone Medical and UpHill attracted undivided attention on their innovative eHealth solutions in exciting pitches as well as lively question and answer rounds. Details regarding the next eHealth Roadshows will be announced shortly through our eHealth Hub website and Twitter channel @EU_eHealth_Hub. Hicham Abghay (S2i) presenting eHealth Hub at the VII eHealth Roadshow. Networking session at VII eHealth Roadshow.